Another book on French style. I’m on a fashion kick today. Enjoy. Buy a book! “Fashion is not something that exists in dresses only,” Coco Chanel once said. “Fashion is in the sky, in the street. Fashion has to do with ideas, the way we live, what is happening.” And here it is another book to celebrate the country’s best—innovations from universal human rights to the bikini, philosophical and literary luminaries from the Enlightenment to Existentialism, gastronomic delights and Nouvelle Vague cinema. With dynamic photographs juxtaposing concepts from haute couture and scientific advancements to pop stars and popular culture, French Style is as sophisticated as the nation it celebrates. For Chanel lovers out there, a 3-book set of black quilted cover, a la Chanel style, books on the most revered woman of fashion and style. She remains a major influence in fashion today. A luxury pack with a luxurious content! Produced exclusively for Assouline by Chanel, this luxe slipcase is made of genuine black quilted leather and adorned with a metal Chanel logo. One of the most visible personalities of her era, Gabrielle Chanel invented a style that was synonymous with modernity and chic. The slipcase includes three memoirs celebrating her revolutionary style: Chanel Fashion, Chanel Fine Jewelry, and Chanel Perfume, by Francois Baudot And Francoise Aveline. The book is on sale for a luxurious price of 750 $. 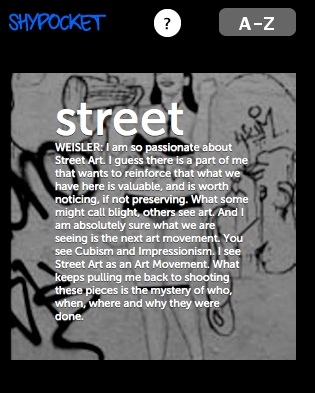 Start mouthing-off….Shypocket.com, accessed through a smartphone or iPad only, is the new say-what-you-want about your art, his art, her art, nasty art critics, museums, gallery owners. 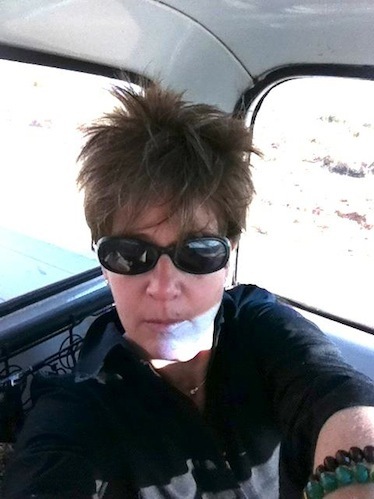 After 25 years as an ad copywriter and creative director, I had had enough. I was looking for a way out of the confines of commercial writing and the grind of helping clients make money. It was a good career, and now I wanted a good change of career. You know, the how-can-I-have-fun-for-the-rest-of-my-working-days-and-make enough-to-retire question. My idea: I’ll make other people write! And I’ll edit them for a change. In all honesty, I created shypocket.com to fill a gap. http://www.shypocket.com is an opinion site for professional artists. It’s free. It’s on the mobile –smartphone and iPad only— and it’s kind of cool. Shy is designed to be a quick, swipe, swipe read of random, daily “mini-essays,” with eye candy under each essay layer. What I want to happen is for the artist community to make this site what it needs it to be—a place for honest, daily discourse that stimulates the mind, the heart, and conversation, against a backdrop of ever-changing topics and points of view. I also want to prove that artists can write. Beyond the expected stiff (sorry) process statement. Consider this a challenge and send us 90 words + one image on a topic that’s hot for you. What gets you twisted? Stoked? Right now. Every day. Top of mind. A day in your life with art. Do tell. 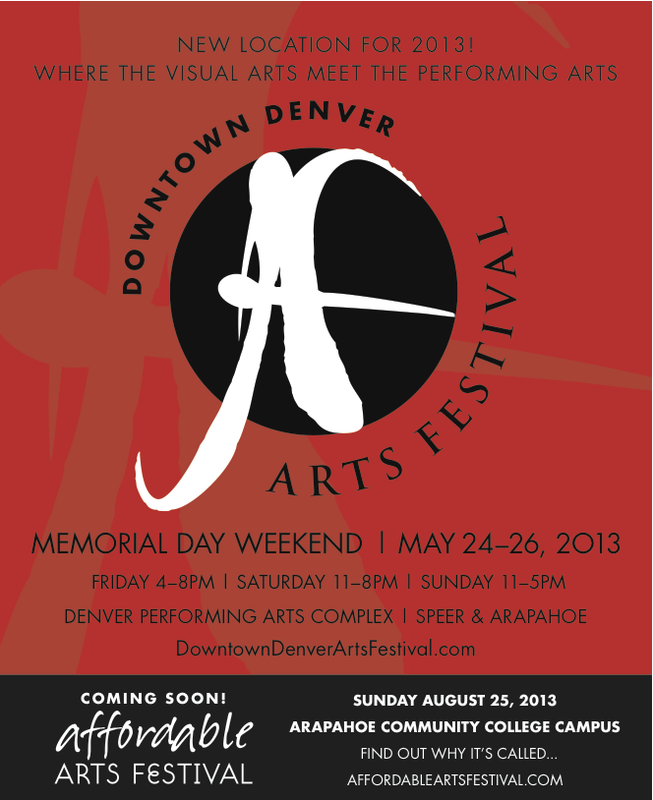 Downtown Denver Arts Festival has moved, Yay! Plan your Memorial Weekend around this artful event. Ride your bike, park in the covered garage, walk, it’s much more convenient than the Pavilions. It’s back where it’s suppose to be. Abstractly speaking, Herbert Siguenza is Pablo Picasso. He fully embodies the man on stage. The opening scene finds Siguenza, writer, artist in his own right, actor and ‘Picasso’ in his bathtub. The audience has no doubt that the tan, white haired, stocky man waxing metaphysically from his bath, is indeed the man known simply as Picasso. If you’re waffling on taking in this production at the DCPA don’t over think it, just go. Especially if you love art, Picasso, impressionism, cubism, color, and an hour and a half inside the head and studio of the artist everyone knows and loves. A Weekend with Pablo Picasso is truly enjoyable. Siguenza is superb as the fiesty, outspoken, genius artist. I learned a few things about Picasso I didn’t know, such as his passion for social issues spoken within the context of his life. The labor of love, by Siguenza, spans three days in Picasso’s studio in Southern France as he works non-stop to finish six commissioned works by Monday. Intuitively, Siguenza created the intimate weekend by involving the audience. Throughout the 90 minute soliloquy the artist is talking to his audience, distance relatives who have dropped in unexpectedly. He doesn’t have the time or energy to ban them from his studio and in time welcomes the company as he reveals much of his life and personality on stage. 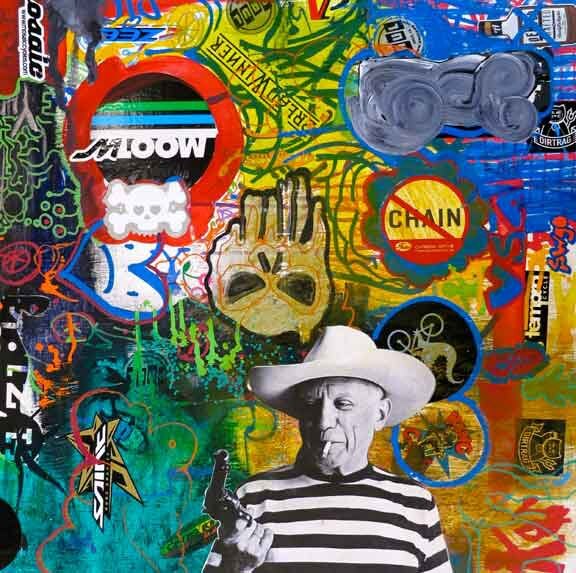 You’ll hear bits and pieces of Picasso’s life, his children, wives, lovers, his eating habits, revealing many traits everyone knows like writing checks for everything no matter how small the amount because, no one ever cashes them. The evening conversation is intertwined with his original quotes formulated as if for the first time. It’s all very creative and personal acted out in an original studio set you would want Picasso to have. 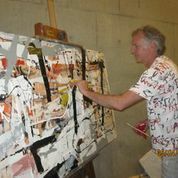 Jeff Wenzel, from Art Students League of Denver, painting in theatre before play opened. Plays The Ricketson Theatre through April 28, 2013. http://www.denvercenter.org. Box office 303-893-4100.